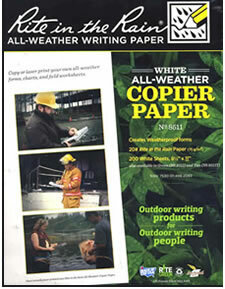 These papers are great for printing durable documents that can be used outdoors or indoors in any weather or at any temperature. 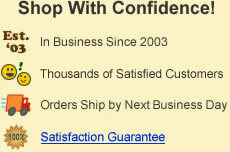 Print on them with plain paper copiers, laser printers, or inkjet printers. Write on them with pencil or pen. 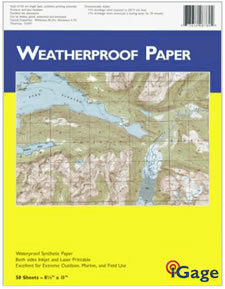 Use them as blank sheets or for printing maps, forms, signs, instructions and other documents. Many people simply use them for recording notes and sketches in the field. 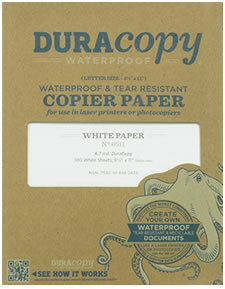 Also available in military (green or tan) paper. Should I Use Inkjet or Laser?